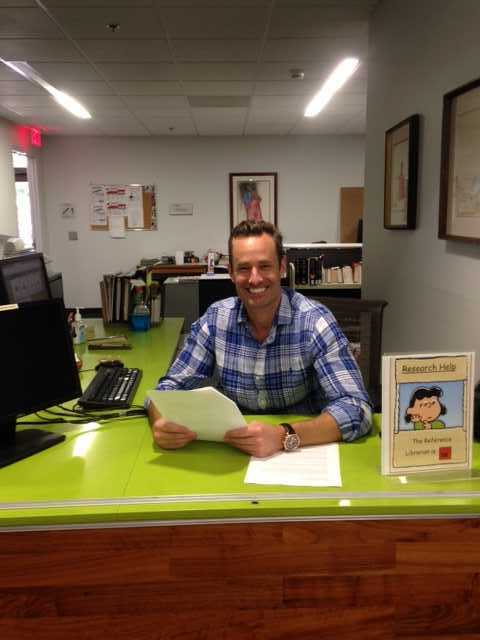 When he's not in front of the camera, Fitzpatrick is behind the reference desk at the UA Law Library. Daniel Fitzpatrick has had an interesting career path. In college, at Arizona State University, he majored in broadcast journalism, but by the time graduation rolled around, had decided a career in news was not for him. Later, he earned a law degree and began practicing in Phoenix, but a little over a year ago, he left that job to pursue a master's in library and information science at the UA, where he is now a fellow in the Daniel F. Cracchiolo Law Library in the James E. Rogers College of Law. Yet, through all that, one thing has remained consistent in Fitzpatrick's professional life: his work as a print and runway model. You may have seen Fitzpatrick without knowing it. He appears in national brochures for Audi's new Q5 SUV, and he's on posters in Massage Envy locations across the country. Fitzpatrick's 20-year career as a model has taken him all over the U.S. and the world. He's done runway shows for the likes of Gap and Banana Republic, and has done print work for clients ranging from shopping malls to Marlboro. The job continues to be a great source of joy for the 41-year-old. "It's seductive," he said. "It's a fascinating business – creative, artistic, and there are a lot of interesting folks." Fitzpatrick's first foray into modeling was in college, after his then-girlfriend snapped a few Polaroids of him and sent them off to YM magazine's "Man of the Year" contest. Fitzpatrick made the top 25 and was featured in the popular teen magazine, along with the other finalists. It got him thinking: Maybe he could make a career out of this. 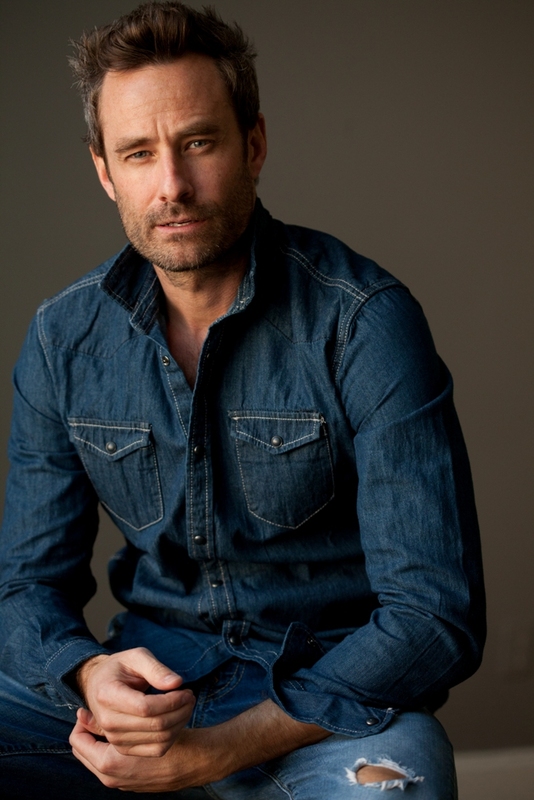 Fitzpatrick signed with Ford/Robert Black Agency in Scottsdale in 1997, and after he graduated from college in 2000, he moved to California to embark on a full-time modeling career. You might say Fitzpatrick's entry into the modeling world was a long time coming. His mother always wanted him to model, but as a teenager he wasn't interested; he was too busy with sports, as quarterback of the football team and a member of his school's basketball and baseball teams. Fitzpatrick's mother passed away in 1995, before her son set foot on the runway, but Fitzpatrick likes to think of his work as a way of honoring his mom's memory. "When I'm doing this job, I think of her and what she saw in me as a little kid," said Fitzpatrick, the youngest of seven children. In his first few years as a working model, Fitzpatrick filled the gaps between paychecks by waiting tables, washing dishes and working other odd jobs. Eventually, he decided to pursue another of his passions: law. Fitzpatrick had always been interested in the law and first enrolled in law school, at the University of North Dakota, in 2002. However, he withdrew to focus on modeling and other aspirations. For nine years, he thought about that decision. And at the end of nine years, at age 36, he decided to give law school another try, enrolling at Western Michigan University's Cooley Law School. This time, it stuck. After completing his law degree, Fitzpatrick began practicing at a high-volume personal injury and workers' compensation firm in downtown Phoenix, where he soon realized what he liked most about the profession were the research and writing aspects. After talking with his older sister, a retired lawyer and working law librarian, he decided that a law librarianship might be the right fit for him. And so he applied for the law library fellowship at the UA. In his current position, he responds to research-related inquiries from law faculty members, students and public patrons. He also works on research projects and, in May, taught two sections during a three-week legal research "boot camp" for UA law students. When his fellowship ends in December, Fitzpatrick will have a master's degree in library and information science. Meanwhile, he continues to juggle work and school with modeling, and he doesn't plan to walk away from the camera any time soon. "I equate walking onto the runway to running out of the tunnel when I played football in high school; it's just this rush," he said. The Audi campaign, shot at Saguaro Lake in Mesa, was one of Fitzpatrick's most recent, and biggest, projects. He played a father in the shoot, with a wife and young daughter. While Fitzpatrick doesn't have any kids of his own, he's starting to land more "dad jobs" in the modeling industry and says he'd like to marry and start his own family in the future. Fitzpatrick remains modest and humble about his work, even if the gig does result in some ribbing from his friends. "My good buddies make fun of me," he said. "They call me Zoolander."